The invasions system is the main gameplay mechanic found in Champions of Regnum, and in this guide we’ll cover events and situations that you will come across during an invasion, whether by playing in the attacking or in the defending side. To ease things up, the guide will be divided in a series of paragraphs that’ll explain each one of the “stages” an invasion is made up of. The further you progress, the more exciting things get. This is basically how the game starts. 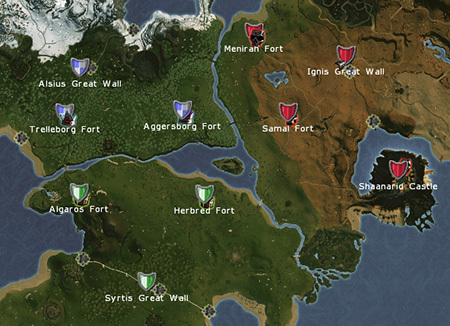 Each one of the realms has control over their respective Realm Doors, which can be noticed by simply taking a look at the shield-like icon in the map that, in this state, represents the color of its original owner. 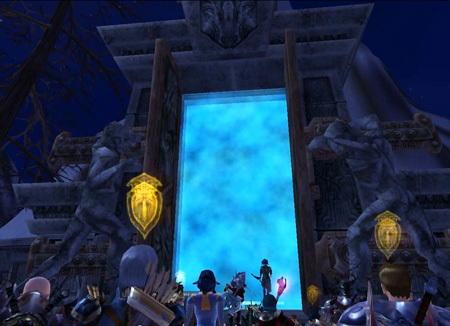 In this instance, the Realm Doors are completely invulnerable, and the flag inside them cannot be captured. This means that even if a Realm gathers up a huge army and tries to attack the Door, nothing will be achieved; and even if a player finds himself/herself inside the Realm Door while it’s invulnerable, he/she will NOT be able to capture the flag. This is why, in order to control an enemy Realm Door, you need to start from the very beginning; and the journey begins by capturing Buildings. Alsius: Trelleborg Fort; Aggersborg Fort; Imperia Castle. Ignis: Menirah Fort; Samal Fort; Shaanarid Castle. Syrtis: Algaros Fort; Herbred Fort; Eferias Castle. Each Building has a door, that in order to get in, enemies will have to attack and wreck down. Inside each Building, a group of guards will be waiting for them, who will relentlessly defend the place from enemy attacks. Players are going to find a Flag too. In order to capture the Building, the attacking players must interact with it, and seconds later the flag will change its colors; representing the structure’s new owner. Keep in mind that after interacting with a flag, if a player from the Realm that originally owns the Building interacts as well it will cancel the capture process! Always make sure to protect the flag while you’re at it. Along with all of this, by simply capturing any war building, the game allows players to gain rewards, whether by holding up an enemy fort during a period of time, or by recovering one of its own from enemy hands after the time expires. 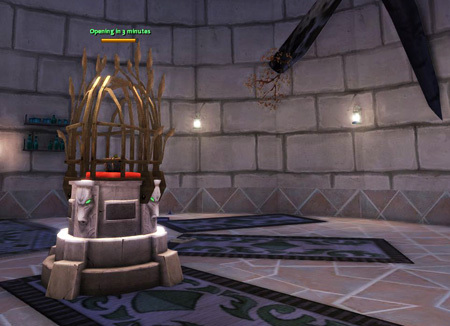 Aside from the flag, players will also find a Cage that holds a Relic inside, which is unique to that Building. 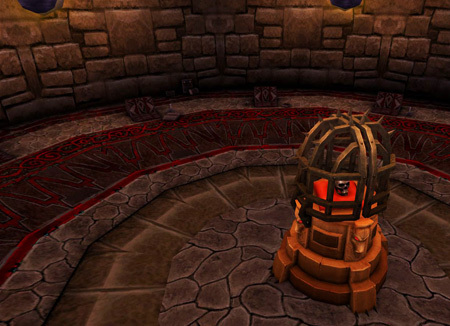 Relics are transportable objects that are found within each Building’s Cages. Each Building has its own unique relic, that’s not swappable with any of the other Relics found in the world. For players to open up the cage, they’ll have to do some teamwork. The only way to open the cages up, is by simply capturing more than one building at the same time. When more than a building has been captured by the same Realm, a countdown will start in their cages. These countdowns will have a starting point that will vary depending on which buildings are captured. This means that, even though capturing a Fort and a Castle is a bit more difficult than capturing 2 Forts, the result is that the countdowns are shorter. However, these countdowns can be shortened. To do so, the very same Realm that already has 2 buildings captured, must capture the one remaining. Nevertheless, said Realm will be dividing their forces and therefore, risking itself to lose one of the 2 buildings that already has. If this happens, the countdowns will cancel out and they’ll have to start over from scratch. Once the countdowns reach zero, the cages will open up; and the player belonging to the Realm that captured the Building will be able to get a hold of it and, with the help of his allies, carry it to the Power Sources at the Realm Wall. It's also worth mentioning that, in case the cage opens up, the rewards corresponding to the amount of countdowns left will be granted to the players who manage to free the relic. 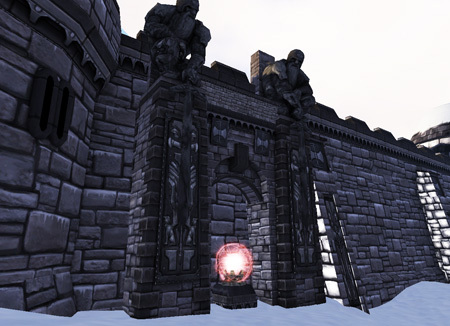 Power Sources are special pedestals located alongside the Realm Wall of each faction. There a 3 Power Sources per Realm: a central one, and two more located on each one of the wall’s endpoints. These Power Sources are meant to be used as a place to deposit the Relics. Any relic will do, as long as they belong to the same realm. This means that, for example, you cannot place Syrtis’ Relics in Alsius’ power sources. Once a relic is placed in any of the Power Sources, the magic that makes the Realm Door invulnerable will temporarily go away, making the door susceptible to enemy attacks. When a Door becomes vulnerable, this means that now it will not resist enemy attacks and can actually be destroyed by the enemy. It’s important to know that, even though it’s enough to make a door vulnerable with just one relic, if you place more relics the vulnerable status timer extends. This provides the attacking faction with a much more wider window to try and capture the enemy wall. Besides, in case you place at least 2 relics, the Dragon from the invading Realm will be summoned to assist in the process; by launching area attacks every once in a while. On the other hand, an option to revive in Realm camps located near the door will also be given, so they can quickly provide reinforcements at the wall and try to avoid their Realm Door to end up captured. 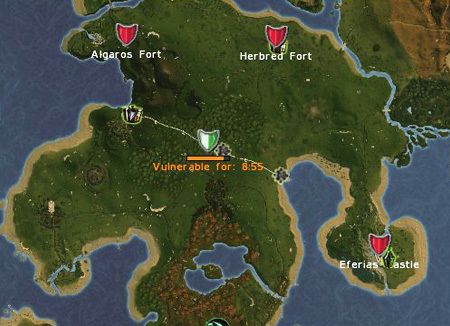 For those players that belong to the attacking realm, the benefit of offensive war camps will be granted, but only in those camps that are near the forts that they still have control over. This way, in case they die near the vulnerated realm wall they're trying to open up, they'll be able to resurrect there, which eases up a new quick attack to happen. Once the attacking realm destroys the Realm Door, they’ll find a flag that looks exactly like the one found in Buildings. This flag is capturable exclusively by the Realm that started the vulnerability status, which makes impossible for the 3rd realm to “steal” the invasion attempt. 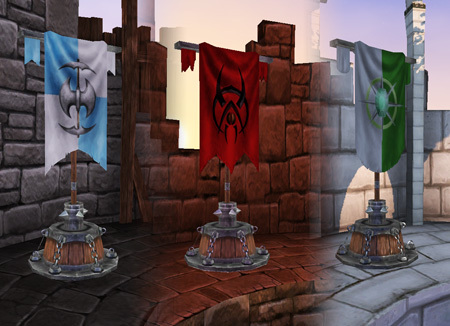 Once they interact with the flag, the attacking realm will capture the Realm Wall, having complete control over a period of time. The amount of time received will depend on the total amount of time obtained during the vulneration process. For example: Let’s suppose that each relic gives out 10 minutes of vulnerability. If 2 relics were placed, and they capture the Door at the minute 14; it will be in the Capture state for 20 minutes. During this period of time, the wall will be in favour of the attacking realm. However, if the invaded realm destroys the inner door and captures the flag, the invasion will end and safety is restored once again. Another detail that should be kept in mind, is that when the Wall is recovered and the invasion ends, the attacking realm will be able to escape through the trap doors, although they will not be available for the user who still carries a Realm Gem in his/her hands. During this Capture mode, the attacking realm will have their opportunity to get their hands on the enemy gems, located someplace in the middle zone of each realm. Every realm has 2 Magic Gems, that once captured show their position in the map. 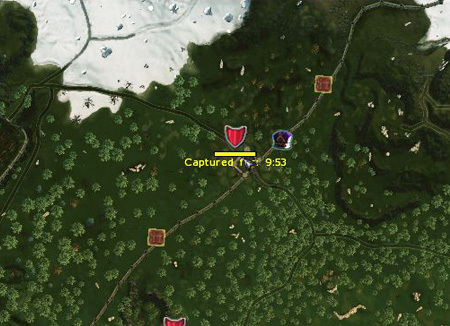 Once the Capture time reaches zero, all Buildings and the Realm Wall will be resetted, giving them back to their original owner. Plus, relics placed in the Power Sources get sent back to their respective Buildings. Each one of the Gems obtained must be transported all the way back home, to the invader’s middle zone. There a Portal can be found, that contains 6 gem slots. 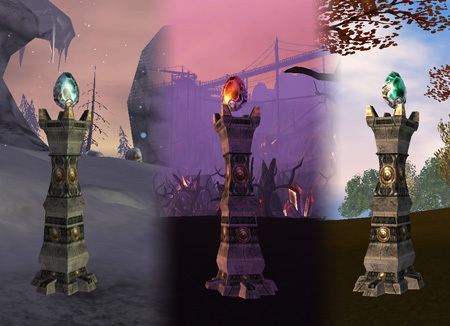 Repeating the process described above, a realm may obtain all 4 gems from their enemies, to finally place their own 2 gems and open up the magic Portal. 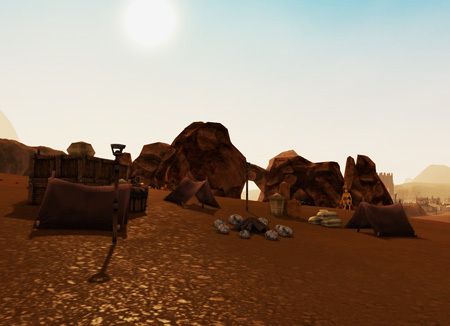 Once inside the Portal, players will get to pick up a wish that will benefit all of their inhabitants. After the wish is granted, all gems are resetted, and the cycle may start again.